Oh yay! It’s holiday time. Parties, family get-togethers, shopping, gift giving, meal planning, travel and lots of visitors. Sounds like fun, doesn’t it? Well, not so much if you have ADHD. While everyone else is joyful, holidays bring up a lot of discomfort for an ADHDer. 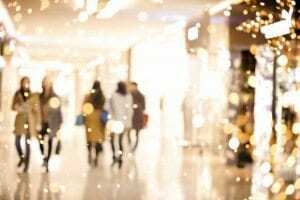 Here are some holiday challenges and solutions for the ADHDer in the family, whether you’re in a store, at the office party; or well, just about anywhere you are. You always knew you were different. You’re the one sitting at the table listening to the conversation thinking to yourself, “Am I really a part of this family? Maybe I was adopted. I don’t have anything in common with these people.” That’s a sad feeling but it doesn’t have to be. SOLUTION: Own your individuality. Yes, you’re different! That’s ok. You have your strengths, talents, and you are unique. Everyone has flaws. No one is perfect. You can still be a family. SOLUTION: Invite a friend to go with you. Go with someone who makes you feel comfortable. You mean well. Your heart is in the right place. You start out with a budget knowing how much you can spend, but when you put your debit card in the scanner, you realize “OMG! What did I just do? How am I going to pay for all of this? Oh well, whatever. I’m not going to worry about that now. SOLUTION: Withdraw the amount of cash you’ll need from the bank. DO NOT use credit or debit cards. Don’t buy what you can’t afford. I know that sounds impossible to do, but becoming aware of what you’re spending will help you get a grip on it. First, it’s the parking lot. How do these people even get a driver’s license? That jerk just took the spot I was waiting for. Then, it’s the lines. Forget it; there’s no way I’m going to stand in that line. After shopping for an hour, filling the cart with every gift you need, you leave it all on the side and walk out of the store. SOLUTION: If you have self-control, shop online (but then you’ll have to use a credit card). If you go to the stores, get there early in the morning or late at night when it’s not so busy. It’s fun to go to the airport, stand in line, have your ticket in hand (if you can find it) and talk to strangers- NOT! Travel means that you have to be somewhere on time. If not, you don’t get to wherever you’re going. It’s not about being late for a dinner date or meeting. If you’re late, you miss your flight, then run around the airport trying to find another one. SOLUTION: Be prepared in advance. Set 3 alarms on your phone that tell you when to leave the house. Leave extra time for traffic, weather conditions, and long lines. The key to a smooth holiday get-together is organizing your shopping list, menus, and preparation. When you have ADHD, those skills don’t come easy. Sure, you can plan a meal for 20 people in two hours; but having too much time to plan can stress you out. Plan your menu a week in advance. Shop when you’re not hungry, and when the stores are not busy. Cook as many items as possible, a few days before the meal. Prep cook (start the process and finish it on the day of the meal). If you’re having guests, you have to clean your house. Scurrying around, from room to room, you look for places to hide your piles of dirty laundry and stacks of papers. It would be so nice if you could finally clean up your mess, but there’s no time for that now. During the holiday season, try to clean up before you go to bed each night. Set aside only 15 minutes to straighten up. Throw trash in the garbage can. Put your clothes in the closet, drawer or laundry when you take them off. If you can afford it, hire a cleaning service. Controlling your portions while eating delicious food isn’t an easy thing to do. Holiday tables are full of your favorite dishes and beverages, the once a year treats. But nothing feels worse than an aching stomach or a hangover headache. Have a snack before you go to the party or meal. Give yourself a drink limit and stick to it, no matter what. Remember, you can have fun and be responsible too. How do you cope with holiday stress? I’d love to hear from you.